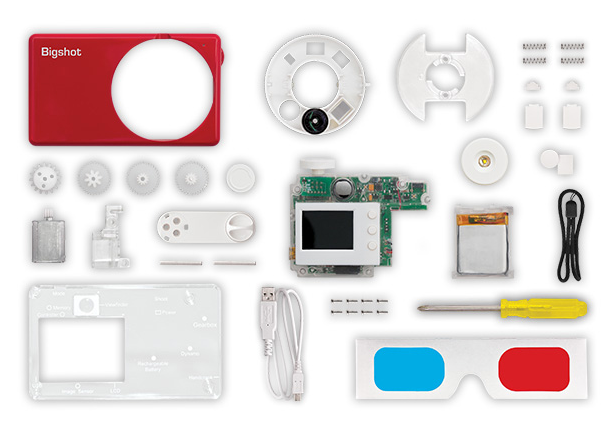 Big Shot Digicam Comes In Assemble-Yourself Kit | OhGizmo! Watching hordes of American children fail at knowing that chips came from potatoes and that eggs came from chicken while watching Jamie Oliver’s Food Revolution was shocking and eye opening. Granted the kids were young and would eventually learn (hopefully), but it made you realize that you do have to put some effort into getting people to figure out that stuff can be made from… other stuff. 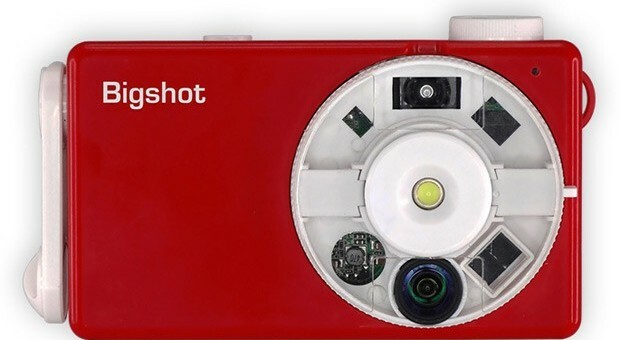 The Big Shot digital camera you see above is the brainchild of Shree Naya who believes that the best way to get children and adults of all ages to learn how it works is to get them to assemble it before they can use it. It’s a fully functioning digicam, with a “3-megapixel sensor, a 1.4-inch LCD screen, plus three lenses for different shooting modes (normal, 3D and panorama).” We’re not convinced you’ll produce prize worthy captures with it, but you will at least be relatively smarter than you were before you got started. It’s $89. Reminds me of those Radio Shack P-Box kits in the early 70’s I built as a kid, to learn electronics. Not much use, but a fun way of sparking creativity.